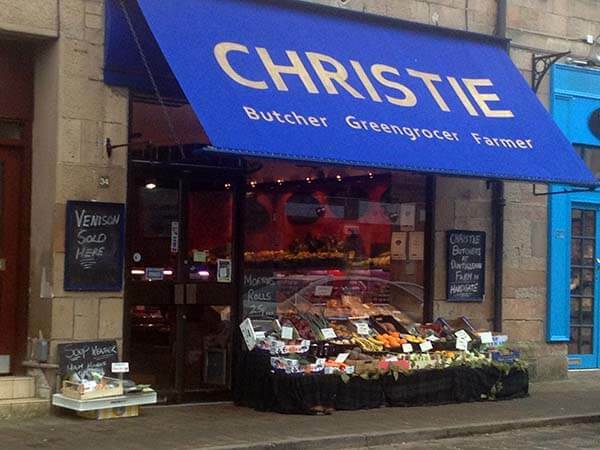 I’m really excited to let you know that the Christie Butcher is now taking orders online so we can deliver right to your door. You can also place an order for click and collect at either Broomhill or Bearsden shops. I’m passionate about the local high street but I am aware that we must keep up with the times!! We are a local butcher and we want to deliver fresh produce by hand – so with that in mind, we will be delivering to Post Codes starting with G11*, G12*, G13*, G14*, G15* (recently added), G61*, G62*, G81*. 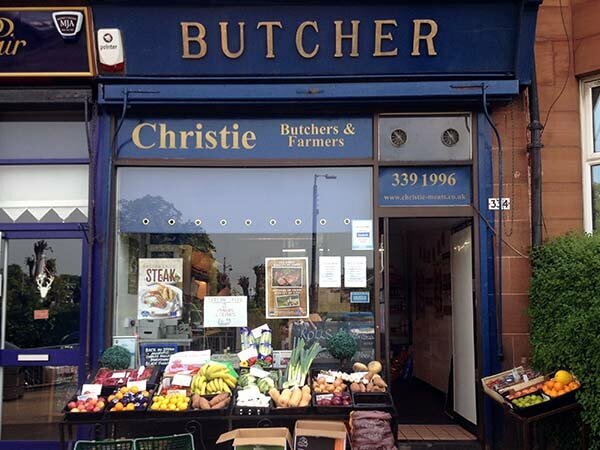 If you live outside of these areas you can always arrange for a click and collect order from the shop – although we would always encourage you to use a local butcher. Our online product range will be expanding rapidly but to start with we’ve put together packs and a delivery system that we think will work for our customers. Do they work? Are the delivery times and days ok? Would you like to click and collect rather than receive a delivery? If so we could look into opening later into the evening one night a week at each shop. Get a week’s worth of fresh (and delicious) meat and box of fruit and veg for just £35 – delivered!! Tried the online shop for the first time and delighted with what we received. Hi Michelle – apologies for that – was just an oversight. All sausage and pudding weights have been updated. Thanks.